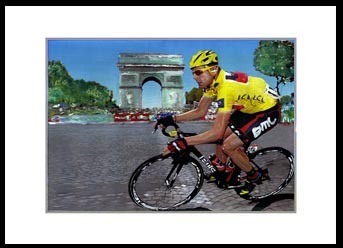 The Painiting Cadel at the Arc, is now available for sale. The painitng commemorates Cadel's heroic win at this years Tour. The original (approx 290 cm x 420 cm)in Gouche and Oils is available professionally framed and mounted.